If you consider yourself an HGTV aficionado, then the name “Alison Victoria” is probably already as familiar as your own. Not ringing a bell? Let us introduce you. 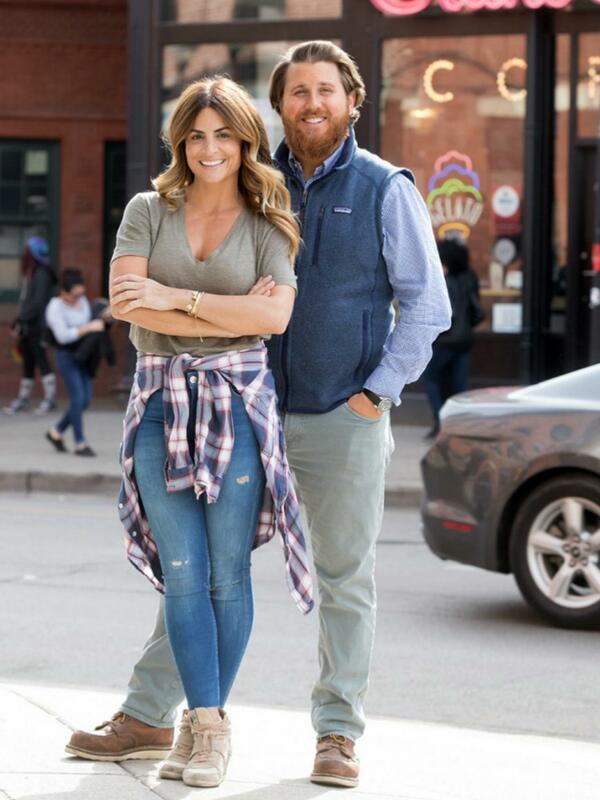 For those of us who were too busy filling up on sauerkraut and cornbread on New Year’s Day, there’s a chance that you missed the official premiere of HGTV’s newest renovation show: Windy City Rehab. Chicago native, interior designer, and powerhouse house flipper Alison Victoria Gramenos (or, as she’s dubbed on the show, Alison Victoria) is the host of the network’s new It series. Serious HGTV fanatics might even remember Victoria as the host of Kitchen Crashers. To any home-reno TV fan, the general premise of the show will sound fairly identical to longtime HGTV and DIY Network Series, Rehab Addict. And, in theory, it is, though a new location steeped in history and fresh renovation drama were the only two reasons we needed to give the series a chance. Here are five things to know before you add this new show to your binge list. “It ain’t easy, but somebody’s got to flippin’ do it,” appears to be HGTV’s unofficial slogan for the series, at least according to Instagram. Within the first 10 minutes of the show, it’s clear: She knows the North Side streets like the back of her hand. Maybe it’s her confidence in swearing on camera, taking serious financial risks, or the fact that she doesn’t hesitate to jump on a hard phone call, but there’s something really badass about the way Victoria handles unforeseen obstacles. While we’re suckers for a “how Chip and Jo met” story, in Windy City Rehab, Victoria’s business partner isn’t her romantic partner, but it’s her contractor Donovan Eckhardt. Given HGTV’s heavy lineup of husband-and-wife home-makeover duos, it’s nice to see that this host doesn’t come with a love story. Having never been to Chicago, I was totally stunned by how often the pair’s projects were delayed due to the weather. “Everything was great until the 10-degree wind chill,” Eckhardt says in episode two, as he stands on-site at the refurbished A-frame on Wabansia street. I’ve binged plenty of rehab shows, and this was my first time learning that nail guns can actually freeze in the dead of winter. Who knew? Good old-fashioned reality drama, courtesy of mother earth. Many of the homes that Victoria scoops up are old—and not just “1980s old” but old, old. The Wabansia Street house in episode two, for instance, was built in 1903. The properties aren’t just diamonds in the rough, but they’re also used as lessons for talking about architecture unique to that era. When she can’t repurpose an original feature back into the home (be it a doorframe or kitchen cabinets), Victoria shops for artifacts at Urban Remains for antique accents. In one episode, she finds tiles from 1885 to incorporate into a project, and in another, she rips out a fireplace from the ’80s and replaces it with an antique mantel from 1802. Homebuyers who have ever gone on the hunt for property in pricey metro areas like New York or Los Angeles will find solace in Victoria’s search for on-budget homes. Each episode starts with Victoria and Eckhardt touring two properties, evaluating the risk of each, and going with their gut on one based on budget, character, location, and timeline. The struggles for outdoor space, affordable housing, and parking are real.